CrossFit is a great way to get in shape. But how do you make sure that you stay safe doing it? Having the right shoe is important for any kind of exercise. It lets you perform to the best of your ability while keeping you safe from any aches or injuries. The wrong pair of sneakers can lead to foot, knee, hip, or back injuries. It really does make sense to spend some time choosing the best cross-trainer shoe for your body type. But if you have flat feet, you have to consider shoes much more carefully. Many shoes were made with an arch in mind. And if you don’t have the right support, you can wind up with Plantar Fasciitis, or heel pain, which can make even activities like walking painful and difficult. 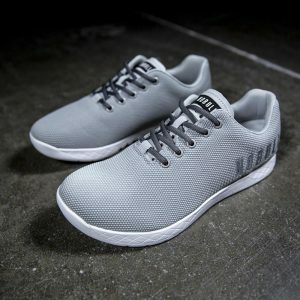 Want Help Choosing a CrossFit Shoe for Flat Feet? Running shoes were made for forward motion. But this doesn’t take into account the versatile nature of CrossFit. If you have flat feet, you need to give yourself every chance to keep your feet comfortable. So while it might be tempting to stick with your usual running shoes, it’s not worth the money you’ll save. Opt for Cross Training shoes that let you move from side-to-side with ease. This will make sure that you can most effectively complete your workout without putting any strain on your feet. This is good advice for anyone, but especially people with flat feet. Any limits in mobility can endanger you and give you damage down the line. One of the biggest things you should be looking for is support. If you have flat feet, your arches don’t support themselves on their own. They need extra help in order to be comfortable and safe. So when looking for shoes, make sure you get the ones with the best support. This will help to minimize any heel pain by making sure your shoes are properly cushioned and comfortable for you. It will be easier to work out when you’re properly supported. Testing the support of shoes is easy. Simply place the toe of the shoe on the floor with the heel sticking up in the air. Then bend the heel down. If the shoe bends in the center, the support is bad. Getting the best training shoes for flat, wide feet with good support is the first step in keeping your feet safe and comfortable. Another option is to get a regular pair of cross training shoes, and then pair it with a supportive insole (many people love Superfeet). Someone with flat feet should look specifically for shoes with stabilizers. 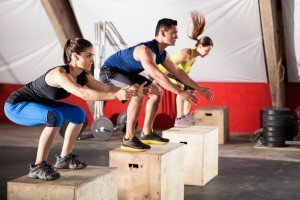 This is actually the main thing that you should be looking at when you’re searching for the best cross training shoes. This is because of what flat feet do when they’re working out. Essentially, the foot rolls inwards when landing, putting too much of the pressure on the big and second toe. This is what causes plantar fasciitis, as well as a myriad of other problems. Stabilizers help distribute the impact and help to provide arch support to flatter feet. This will help minimize the damage done on landing, keeping these problems at bay. Unlike the first two pieces of advice, this is one specifically for flat footers. While it may seem obvious, it bears repeating: shoes that were designed for your foot type are the best kind for you. Finding Cross Trainers with stabilizers is a great way for those with flat feet to make sure they can stay comfortable and healthy during workouts. While this will depend on exactly what sort of exercise you’re doing, slip resistant shoes can be helpful. With an extra grip on the floor, you can avoid rolling your ankle or similar injuries. It can also help to make sure that you don’t fall while doing more difficult exercises. Many studies have been done to show which types of soles are the best for certain activities. You should do your research to find the ones that work best for your needs. In general, though, it has been shown that polyurethane is the most slip resistant. So if you’re looking for something with a little extra grip, look for a cross trainer that has this kind of sole to ensure ultimate grip. Over time, shoes that once served you well may not anymore. Shoes wear down with time. The padding and support will become flimsier and less effective. In addition, the tread can wear down, especially if you drag your feet. WebMD suggests that you replace your shoes every few months. At the very least, you should be checking your shoes regularly for wear. If you start noticing that the treads of your shoes are worn down, or if you feel like the shoes are getting flimsier because the padding is wearing down, it’s time to buy a new pair of shoes. This requires you to be conscious of your body at all times. Pain in your feet is another sign that it’s time to replace the shoes. Replacing shoes so regularly is expensive. But taking care of your body is priceless. At the end of the day, you know what feels right and comfortable for your body. And you know what doesn’t. If you’re having foot pain, or if your shoe just doesn’t feel right, it’s time to seek out other options. You’ll notice a change if they start to get worn down, or if you’ve bought a pair of shoes that don’t effectively manage your feet. Even with flat feet, all shoes and people are unique. You might have to shop around a bit to find a pair that really suits you. Always remember to choose comfort over aesthetic. No one cares if your shoes match your outfit in CrossFit! Everyone around you just wants you to have a good time and stay safe. So test out your athletic shoes, and make sure that they feel comfortable to you. Let’s get to our list of the best cross trainers for flat feet. With so many shoes on the market, it’s hard to figure out where to even start. That’s why Best CrossFit Shoes offers a wide range of reviews and products. We want your workout to be the best it can be, so we dedicate ourselves to helping you reach your full potential. 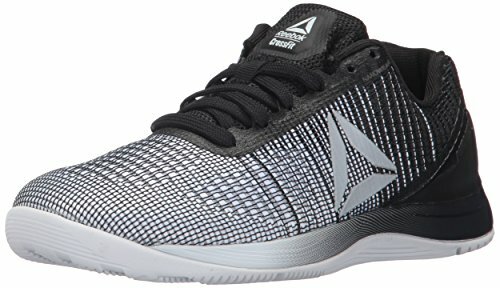 One of our top picks for sneakers for wide, flat feet is the Reebok CrossFit Nano Series. 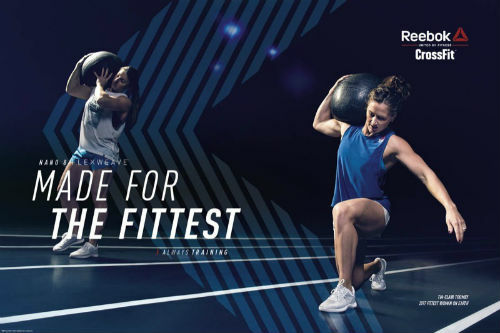 Whether you have flat feet, high arches, or are just looking for the support you need, we’re here to help you find the best CrossFit shoe that meets your needs. 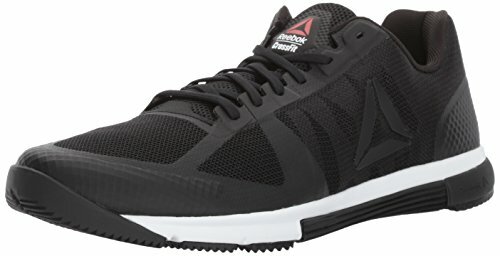 Or, just check out one of one favourite cross trainers for flat feet, the Reebok Crossfit Nano 8.0. 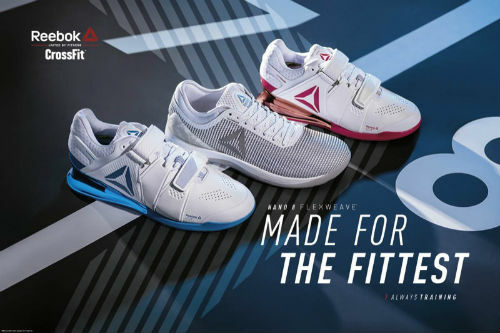 It’s a top-quality Cross Training Shoe at a very reasonable price and it’s so popular that Reebok keeps coming out with new editions. This shoe provides some serious support and stability, which is exactly what you’re looking for in a shoe for flat feet. It’s light in weight, but has a kevlar infused upper that adds strength and stability. It’s part cross-trainer, part lifting shoe and all kind of awesome! There is a ton of cushioning so your feet will feel supported, even after a tough workout. Not to mention how stylish these shoes are—there are almost 30 styles and colours to choose from. 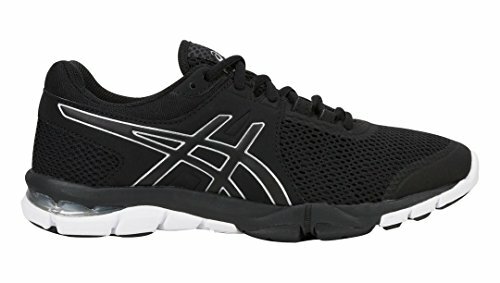 If you’re looking for an all-round training shoes for flat feet, then you’ll want to consider the Asics Gel Intensity 3. 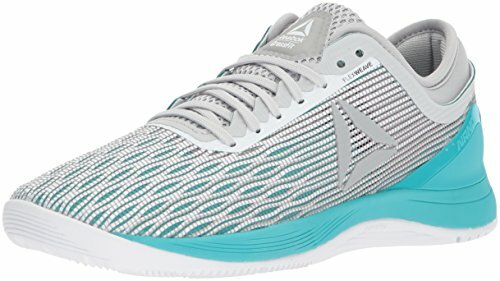 They’re a serious athletic shoe at a very reasonable price. We love how comfortable they are, their versatility for a variety of workouts, and finally, their durability. If you’re looking for a pair of cross-training shoes that can handle a bit of light running as well, you’ve come to the right place. The best news is that many people with flat feet have used the Puma Tazon 6 sneakers and had some excellent results. They’ve extremely reasonably priced, durable and also come in a number of stylish designs. There’s actually nothing to not love about these things, except that they’re a little bit heavier than some of the other options on our list. 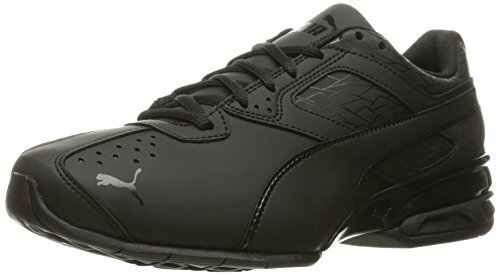 What Do People Think About the Puma Tazon 6 Sneakers? Where to Buy One of the Best Cross Training Shoes for Flat Feet? Next up on our list of shoes that you’ll want to consider if you have flat feet is that New Balance MX608, version 4. Many people swear by these things for a variety of workouts, including CrossFit, light running, at the gym, tennis, or walks. They’re reasonably priced, and come in a variety of neutral styles, making them also suitable for wearing at a job when you’re on your feet all day. It prevents injuries by offering some serious padding for flat-footed people. Excellent ventilation to keep your feet feeling good! 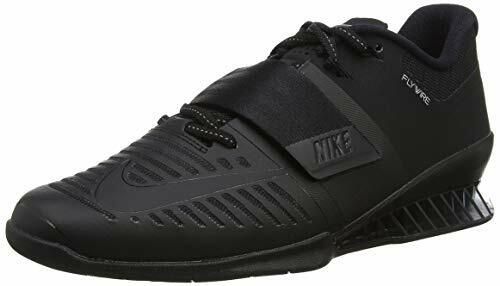 Weightlifting shoes like these NIKE Romaleos ones make a great choice if you have flat feet. There is minimal heel to toe drop, and they offer some serious cushioning and stability. 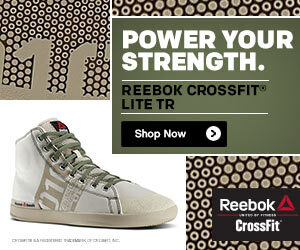 Of course, weightlifting shoes are not great for all-round CrossFit workouts that contain lots of running or jumping. They’re just not designed for this and don’t offer enough stability for quick movements. But, if your workouts are heavy on the weights, then consider the Nike Romaleos shoes. Online, this shoe has some excellent customer ratings and most people that try it are very happy with it. Nike is one of the most trusted names in athletic shoes for good reason. 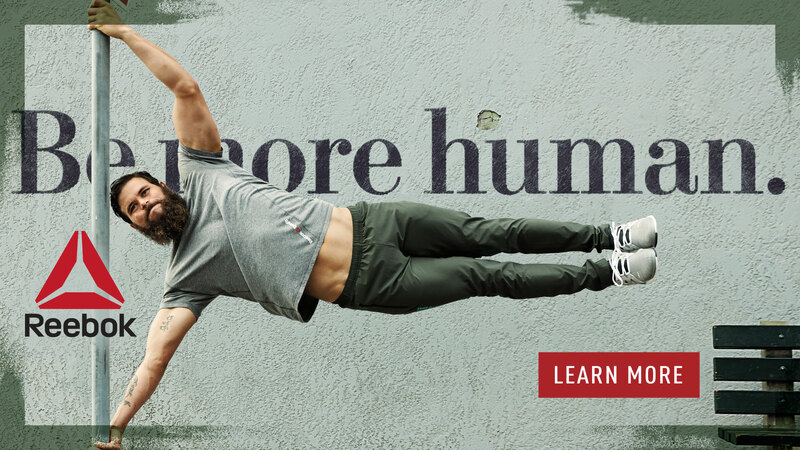 Why Consider Nike Romaleos for Flat Feet? However, the lack of flexibility makes then not suitable for a run, or even walking anything besides a short distance so please keep this in mind. Where to Buy Nike Romaelos Shoes? An added feature is that you can swap out the insoles if you have custom orthotics that you want to put in. This isn’t always the case with weightlifting shoes, but we appreciate that this one from Nike offers that. 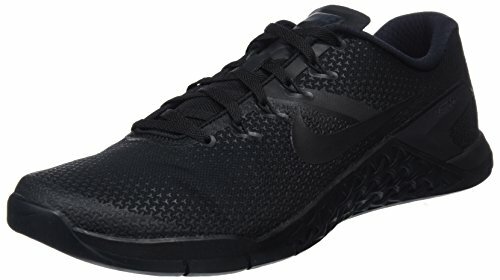 The next cross trainers for flat feet to consider are these ones from Nike, the Metcon. They use their top of the line technology in these shoes to offer a full range of motion along with some serious support. These shoes have a ton of satisfied customer, as demonstrated by the reviews online. The only real negative to these shoes is the price, which is often a bit higher than some other training shoes on the market. But, as with anything, you get what you pay for. 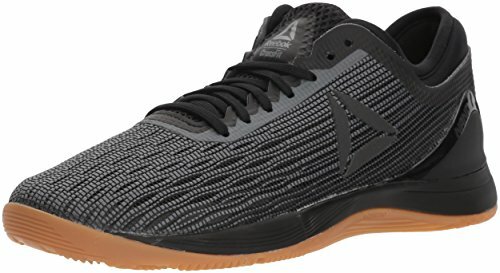 In this case, it’s a top-quality cross training sneaker that’ll work well for you if you have flat feet. These shoes offer support exactly where you need it, under your arch and heel. However, they also allow you to move freely and responsively, and handle anything that a tough WOD might throw at you. They are light in weight and breathable, but they don’t sacrifice anything in the way of support. They have an ideal heel toe drop for an all-round workout. Not too high like a running shoe, but not too low like for a lifting shoe. 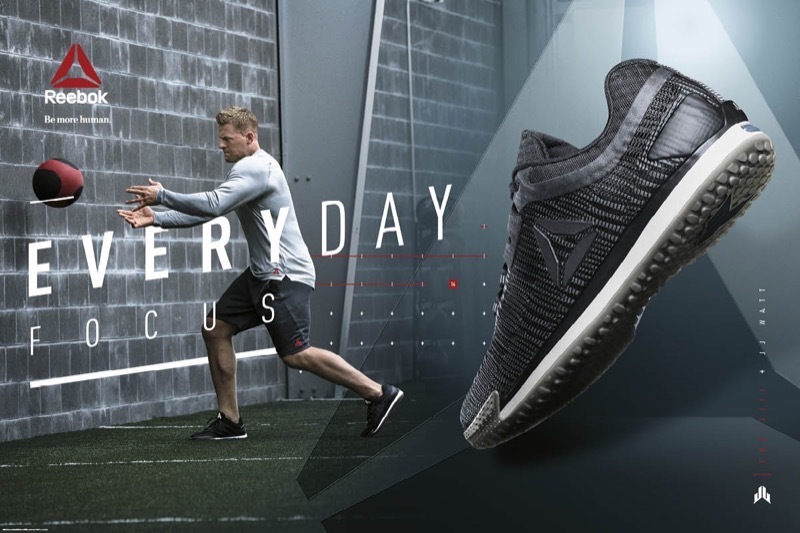 If you’re looking for one of the best workout shoes for flat feet, then you’ll want to consider these ones from New Balance. It’s designed for overpronators, which often means that you’ll have a low arch and flat feet. The stability feature is ideal because they’ll help you to maintain correct form, which means a less sore body after a tough workout. Jogging and running—do it in style on almost any surface with the New Balance 1260v7 sneakers. They offer some serious impact protection and can help to prevent injuries due to these activities. 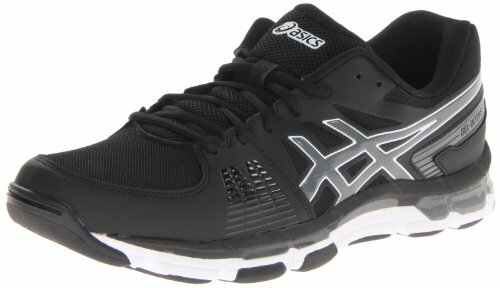 Another top pick for the best sneakers for flat feet is the Asics Gel Craze TR 4. It’s comfortable, fits most people with flat feet quite well, and offers some serious stability and cushioning, as well as helping to protect against overpronation. Although not one of the cheaper options on this list, you are getting a premium workout shoe that can handle a variety of exercises. If you’re looking for serious protection for you feet, these ones can do it in style! What Do People Think About the Gel-Craze TR 4? The Adidas Men’s Freak X are some of the best sneakers for flat feet. They’re also one of the most affordable options on this list, and can often be found at the local sports store or various places online for less than a $100. When you compare them to something like the Nike Metcon 4, that’s quite a deal! Why you might want to consider them if you have flat feet is because of the removable insole. These make a good, affordable pair of base shoes to add your own insole or orthotics too. If you’ve already spent hundreds of dollars on orthotics, all you probably need is a decent pair of shock-absorbing shoes to put them, not top-of-the-line sneakers with all the bells and whistles. Where to Buy the Adidas Men’s Freak Crosstrainers ? Okay, so you’re not sure if you have flat feet, or not. Here is a simple test you can do. Walk barefoot at the beach. Or, on a swimming pool deck with wet feet. If you can only see your heel and front of the foot heel pad, you have a very high arch. Can you see those things, plus a little bit of the middle of the foot? You have an average arch height. Finally, if you have flat feet, you’ll see a kind of squashed out pancake shape. What are the Causes and Complications of Flat Feet? Many people go about life with flat feet and have no pain, or problems related to it. However, others can develop shin splints, plantar fasciitis, foot, leg, hip or back pain from it. What about Insoles or Orthotics for Flat Feet? Most crosstrainers come with removable insoles. You may be tempted to replace them with insoles. One possible solution for flat feet is insoles or orthotics. I recommend checking with your doctor, physiotherapist or podiatrist for the best advice for your specific situation. That said, there are a ton of CrossFitters with flat feet who swear by Superfeet. They’re one of the most popular brand of insoles on the market today. They can make an excellent replacement for the insole that comes with one of these shoes we’ve recommended for flat feet. Superfeet makes a variety of insoles, depending on your needs, ranging from skates, to hiking, running and casual or dress shoes. Most people who use Superfeet for CrossFit find that the running shoe ones work really well. What about Weightlifting Shoes for Flat Feet? 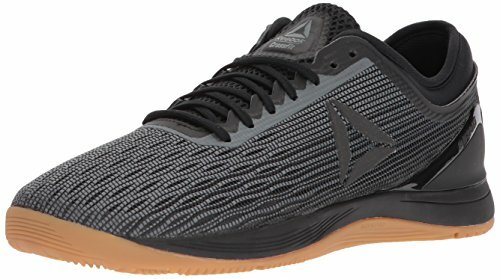 What do you look for in a CrossFit shoe for flat feet? Do you have a favourite brand? Leave a comment below and let us know your thoughts. Thanks for the quick tips for picking out my next pair of CrossFit shoes. My feet are so flat that I struggle with finding a good match.